Every drummer knows how important it is to be able to lock in with the bass player-now you can finally work on this skill at your own pace. 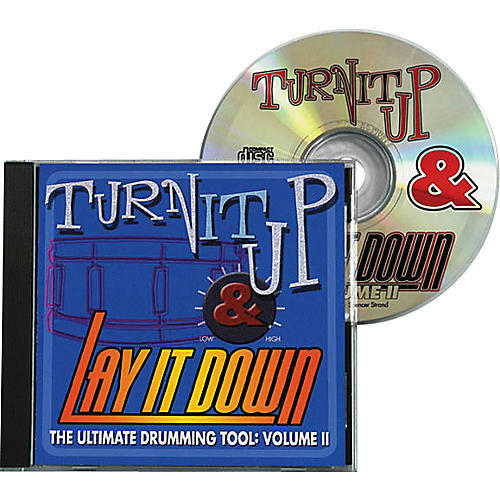 The Turn It Up and Lay It Down, Volume 2 play along CD allows you to be as creative as you can and develop your own drumming style while playing "deep inside the pocket." Provides real bass players to jam with so you can improve on the drums. This second volume features all new grooves in a more song form-oriented format-more funk, more rock, odd time signatures, reggae, and some piano tunes to play on top of. This educational CD makes learning to play drums fun and is also a great ear training tool.